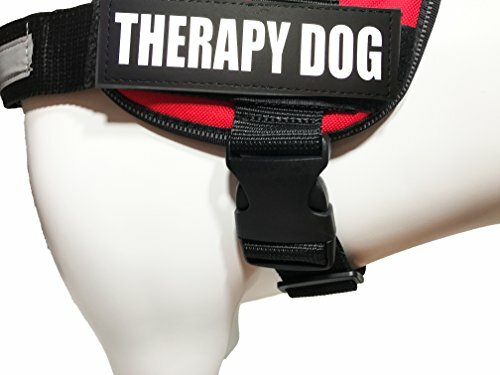 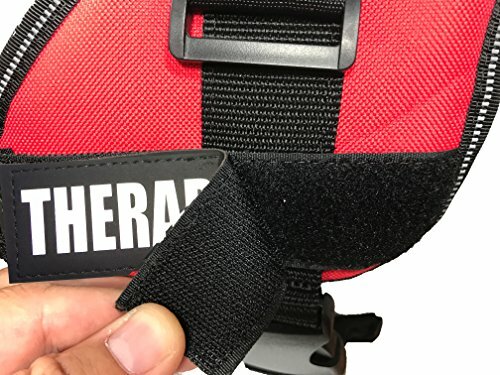 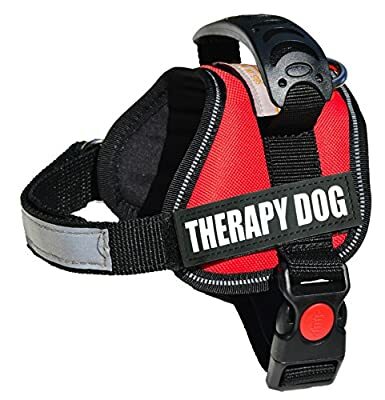 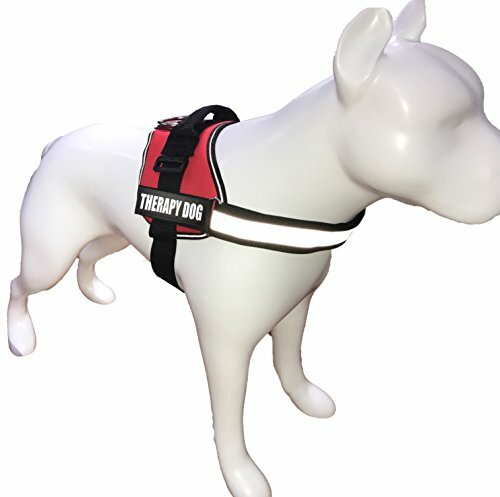 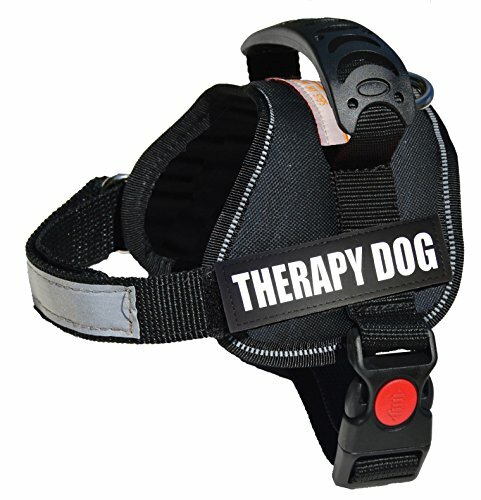 Reflective Therapy dog vest; Our Therapy animal vest is loaded with highly reflective features Built to Last; Woven of tough nylon webbing, Sturdy handle, D-ring securely holds leash or ID tag Comfy lightweight vest;Soft padded material for non-chafe cushioning.Your dog will hardly feel it Multipurpose. This Vest has Removable Hook & Loop panels for securely attaching your own patches Therapy Dog harness has 2 adjustable straps. 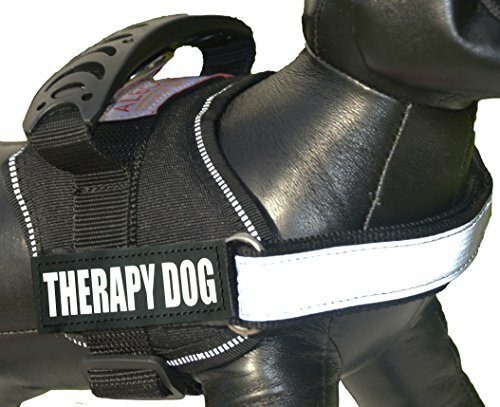 Size XXS-XL will accommodate girths from 14" to 43"